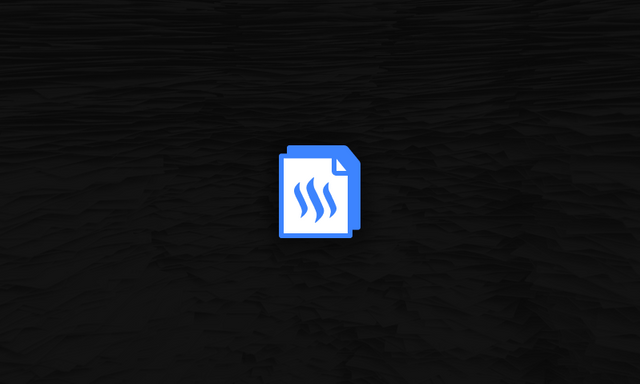 Steemdocs.net needed a solution for generating a dynamic sitemap.xml file in order the https://steemdocs.net to be indexed by the search engines. Considering a nature of the project, it is really critical for the site content to be "searchable" by people using modern search engines. Why it should be generated dynamically? Well, more and more content is being added to steemdocs.net, so we do not now want to update sitemap.xml manually each time, right? 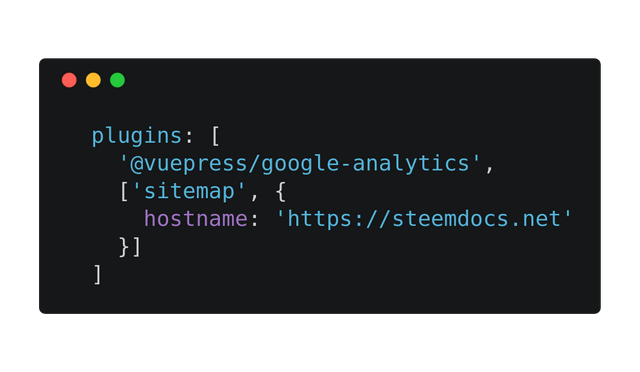 A vuepress internal file (node_modules/vuepress/lib/app/.temp/siteData) includes a list of generated ( during a build process ) sites. What we need to do is simply take the file content, and generate sitemap.xml with a proper structure based on that. A sitemap package was used, to generate XML file. 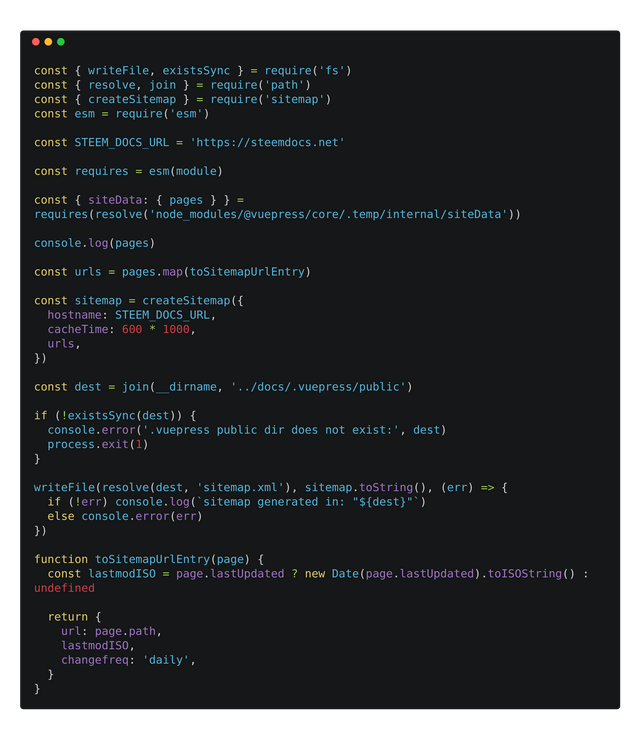 Unfortunately, the plugin could not have been used within the steemdocs project, due to non-existing ( at the time ) support for latest vuepress version. Thanks God, open-source community is responsive, so in the next few hours an author of the plugin has published a new version. I could finally take an advantage of his work, and link the plugin with the steemdocs repo. Custom script (presented above) was no longer needed, as the plugin did the job out-of-the-box. Simple project build (npm run build) forces plugin to run and generate sitemap.xml to be created in an output directory. It would be really nice to see even more people contribution to such a great project - steemdocs.net. On a side note, looks like .MD files on this directory are in place in the sitemap.xml file. @emrebeyler wow, thanks for your in-depth review. Such a high quality work is being done by the Utopian mods here. I will raise an issue on github related to your note. Thank you for your review, @emrebeyler! Keep up the good work!